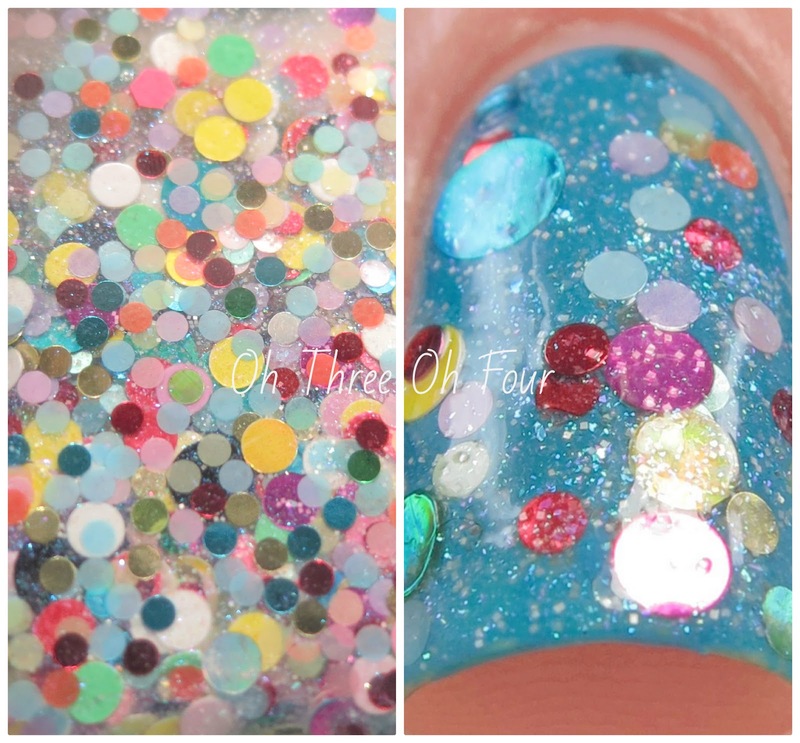 Fruitcake Juice is a blend of holographic, matte and satin dots in a multi-shimmered clear base. These photos are 1 coat over 2 coats of Sephora Curaçao. 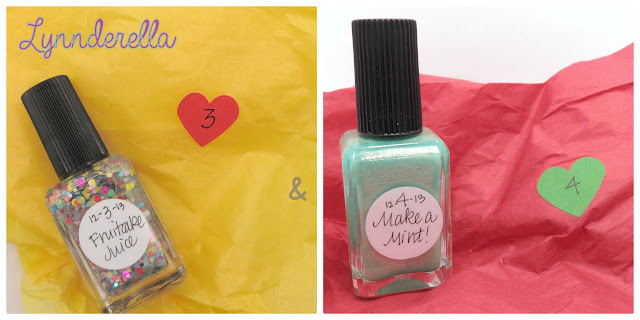 Make a Mint is a gold-shifting mint accented with pink shimmer and iridescent blue-green microglitter. Shown is 2 coats with top coat. My camera wasn't able to pick up the pink shimmer in Make a Mint! well. :( It is there and you can see it a bit in the close up photos below. The added micro-glitter really make this polish to die for!